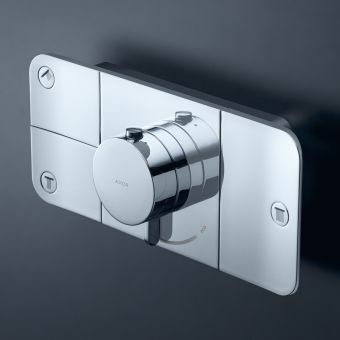 Featuring exceptional form and outstanding performance, the concealed shower valve has been the valve of choice for specifiers and architects. 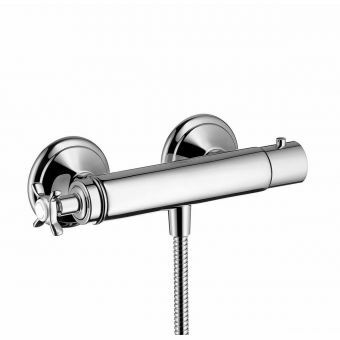 Keeping all the working parts of the shower out of sight is a neat and unobtrusive way of designing a modern or traditional styled bathroom. 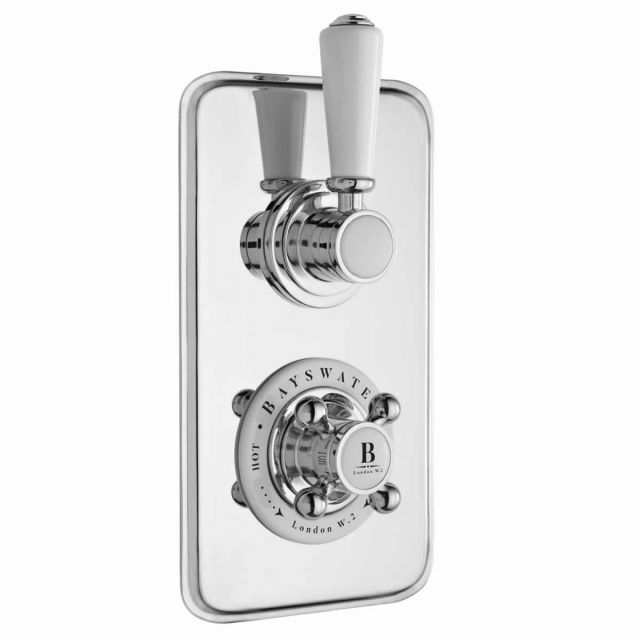 This Bayswater Traditional Twin Concealed Valve takes all the best parts of a modern design and couples it with a turn of the century looks to produce a piece to delight. 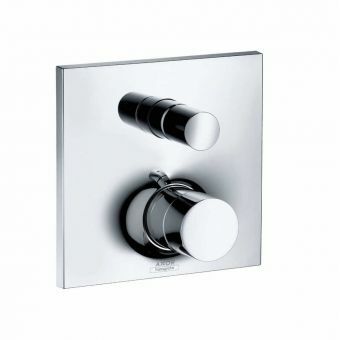 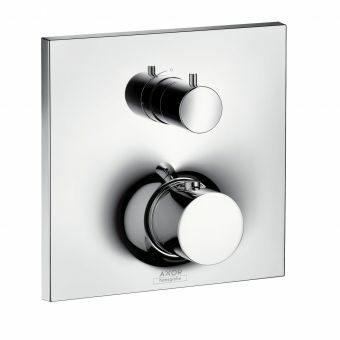 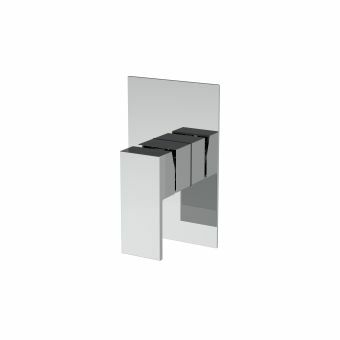 The rounded edges of the rectangular shower plate have a luxurious mirror-like chrome finish and with the option of choosing a white or black control set, you can set the mood in the bathroom to suit your own preferences. 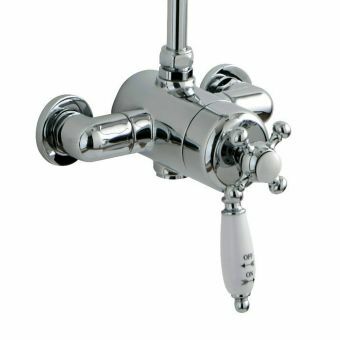 This sumptuous valve provides you with a single outlet that connects to a drench head or handset and will work just as well with a low-pressure supply as a high one allowing it to be installed in most homes. 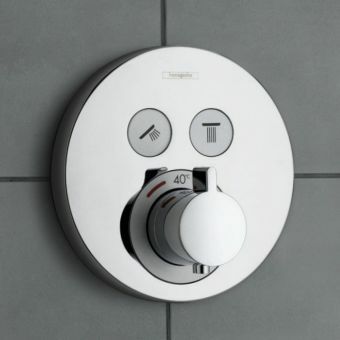 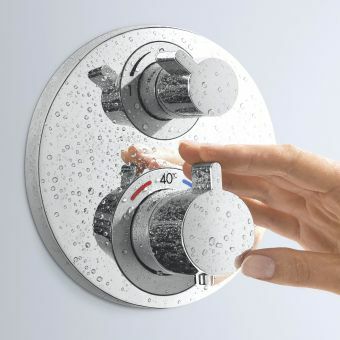 Thermostatic protection keeps you and your family safe should a water cut out occur and with generously engaging crosshead and lever controls, you will always be in charge of your shower.